Sonia M. Sotomayor Learning Academies opened in 2011 and are located in the Northeast Los Angeles. It is made up of four high schools and one middle school but when it comes to athletics, the four high schools all become one and is known as Sotomayor High School. In the years that the school has been opened, the athletics program hasn’t been very good but that is changing. The 2013-2014 soccer program put our school’s name on the map. In the 2011-2012 season, the soccer program was beginning to develop its first year and accomplished some wins but overall their record was three wins, nine losses, and one tie (3-9-1). That’s pretty bad. Then came the next year which ended with five wins, 13 losses, and two ties (5-13-2). The soccer program was still bad and wasn’t quite developing at all. However in the 2013-2014 season, it was the season that the school name began to get up and show who Sotomayor High School actually was. I say that because I decided to go out and try out for the soccer team that season and experienced the beginning of history for Sotomayor. I say history because that was the year that the soccer program gave a huge bump and began the history of winning most of the soccer games. The overall record was 10 wins, five losses, and three ties. My second year playing for the school was the following season, and that was when everything completely changed! History was made in a very special 2014-2015 season. This season was the best that the school has ever experienced and the best feeling I have ever felt. It all began with the passion everyone had for the beautiful game called soccer. Not only the passion, but the brotherhood we all felt for each other and how they we were united as a family. “Soccer is not just 90 minutes of running on a field, it’s more than that, it’s passion, dedication, discipline but most important, freedom through something we deeply love, the unity of brotherhood that we belong to something greater than one, the thought that we could influence and change each others live is what keeps us going hard,” said teammate Henri Reyes. The sacrifices we all had to do and all the hard work we had to put out on the field made a change to the school, and was getting known all around the City of Los Angeles. 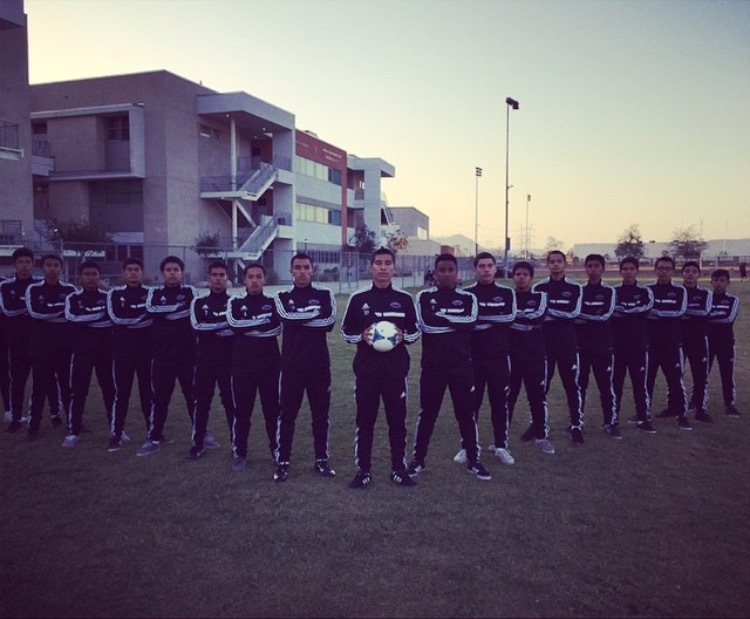 Sotomayor High School went undefeated in the Northern League but the overall record was 18 wins, six losses, and two ties. There was only one tragic loss, which was the CIF Final, but history was still made. All the past seasons have been making this soccer program develop and become better day by day, but not only the players get the credit, but the head and assistant coaches too. The soccer program that the school has is just not a program or a team, it’s a family that is there to help each other out. It all starts from the coaches, helping the student athletes with all their academic work and also help to prepare the future. To prepare the future, I mean to help the student athletes attend college and play soccer at another level. The history behind the soccer program just doesn’t come from the talent, but also from all the little details that the students put in. History will continue and be made next season! Editor’s note: the video accompanying this post was inspired by Nunez’s story “Lack of soccer fields a problem in Northeast Los Angeles” published Oct. 16, 2015.